Spring isn’t just a time to freshen your wardrobe — it’s a time to bring out your favorite accessories and spruce up old outfits with new flair. Small details like cufflinks, jewelry and scarves can take any spring outfit from sad to sophisticated. Accessories help create a signature style all your own so your look can be as memorable as you are. With accessories personalized just for you, why would you want your closet design to be any different? Boston Closet has custom organizational systems to bring out the best in your own personal style. Shoes are usually the biggest problem we see in the closet. Nice, polished shoes for the office often get tossed alongside grungy flip flops without any thought to the condition they’ll be in when you need to wear them the next morning. We offer slanted shoe shelves in a variety of sizes so you can customize your dream shoe closet. Consider floor-to-ceiling shoe organizers for maximum storage capacity. Purses, wristlets, wallets, and clutches generally require their own space, as well. 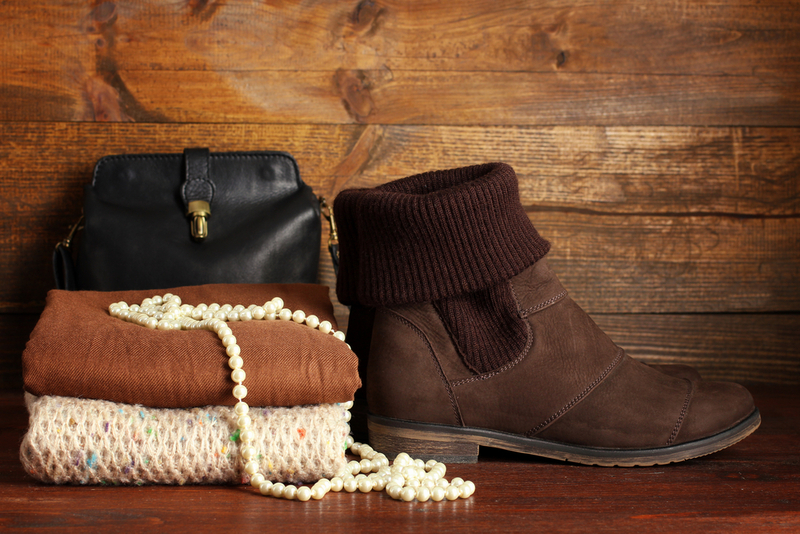 Don’t let your favorite bags get tossed in a heap on the floor. We can design custom shelving, hooks and even pull-out wire baskets lined with cloth to protect your prized belongings. Jewelry poses yet another tricky problem for many homeowners. Necklaces and bracelets can be hung from hooks, but precious metals can tarnish or be scratched if they are simply tossed in a pile somewhere. Sentimental pieces, heirlooms, earrings, and cufflinks are all best organized in our velvet-lined jewelry drawers, which protect your favorite pieces and keep them looking nice for the next generation. We even offer locking drawers to keep your valuables safe at all times. Less clutter means less stress during your morning routine. We don’t just have solutions for your small accessories, but we also offer the answer to your morning outfit dilemma. Sliding pant racks keep slacks wrinkle-free to reduce the amount of time you spend ironing. Even better – valet rods help plan your outfit for the next day so you can dress without any fuss and without waking a sleeping spouse! Once you have successfully coordinated a stylish outfit for spring complete with all your favorite accessories, check out your new look in a full-length foldaway mirror. We have everything you need to put together a stylish, personalized look this season. Call today and discover new ways to showcase your accessories with custom closet organization in with a completely free quote from Boston Closet Co.!